Last month we talked about the various animals that visit our centre and mentioned that pine martens are rather partial to eggs. 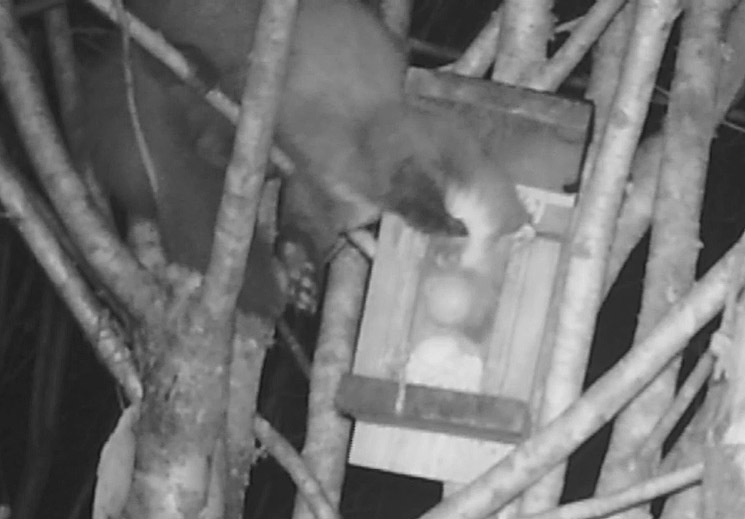 As a bit of an experiment, we placed one chicken and one duck egg in our squirrel feeder that we know the pine martens visit regularly in search of peanuts. We then positioned a trail camera to hopefully catch some footage of the martens’ reactions. 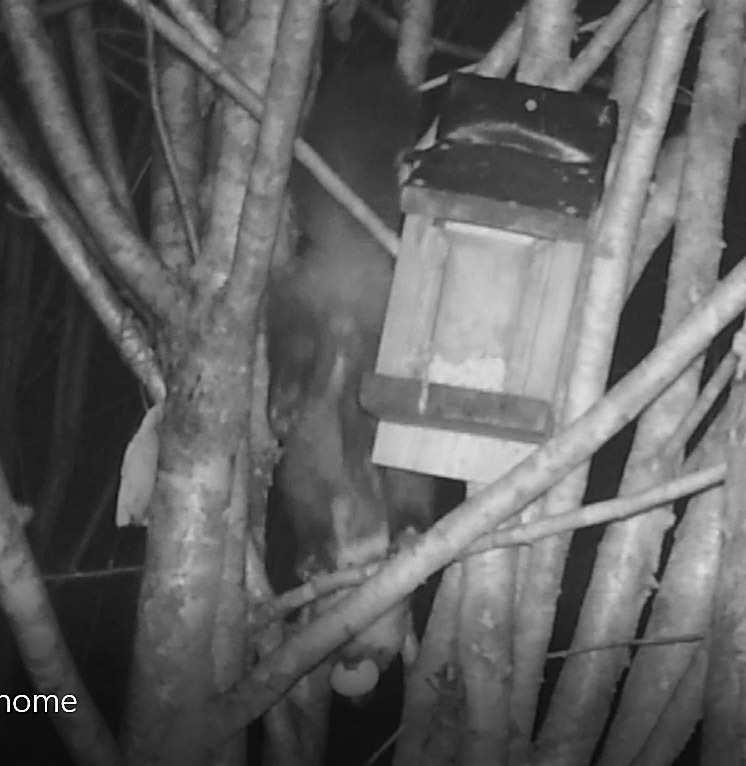 The next day they had gone and the video showed a pine marten hoovering up the peanuts around the eggs then carefully grabbing each egg in its mouth and carrying it down the tree. Pretty impressive for an animal whose jaw is only 50mm long. An egg is a tight squeeze in our mouths, but don’t try this at home! 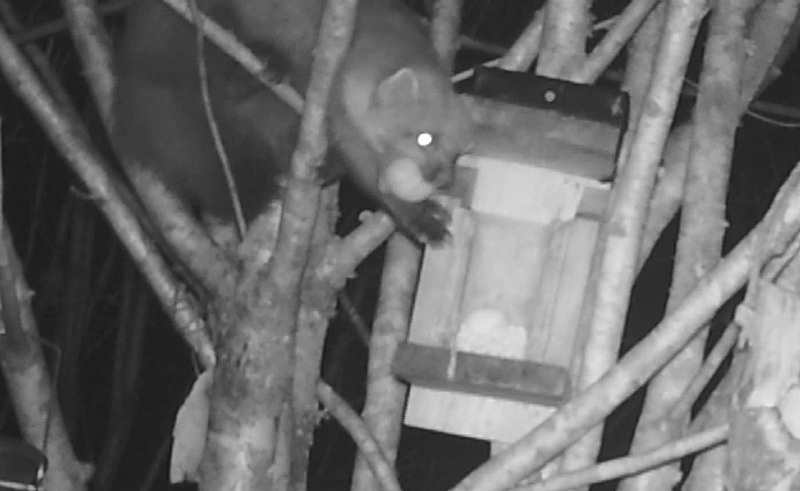 If there is plenty of food around pine martens will hide it somewhere for future use, a characteristic it shares with its relatives, stoats and weasels. These animals burn a lot of energy (a weasel needs to eat a third of its body weight every day!) and a couple of eggs will be considered a major bonus!